Hide deals from seller "Vergo Salon Spa"
Click 'Get It' and select Haircut option or Highlights option. Limit 1 per person; may purchase 2 additional as gifts. New customers only. Not valid on long hair. By appointment only. Promotional value expires 90 days after purchase. $27 for a women's shampoo, haircut and style ($55 value). 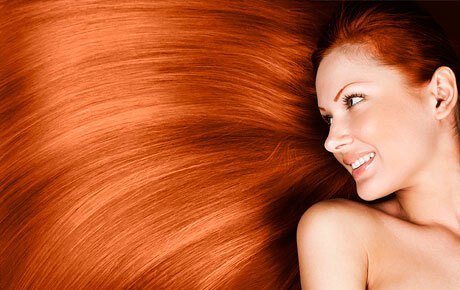 $85 for partial highlights, toner, conditioning treatment and haircut ($170 value). Peter Vergos, an experienced stylist, took over this salon from his mother after she successfully managed it for 25 years. Vergo Salon Spa emphasizes innovative techniques and fresh ideas to ensure a unique and worthwhile salon experience. They tailor all of their services to each client's needs and pride themselves on their friendliness and expertise. Vergo Salon Spa only uses high-quality products from companies like Yon-Ka and Moroccanoil. Aside from their haircare services, Vergo also offers spa services such as waxing, facials and body treatments for complete indulgence. An upscale salon and spa in Lincolnwood offering a variety of beauty services.